The planning authority for our area is the South Downs National Park (SDNP) based in Midhurst, and they will determine any planning applications submitted in respect of East Dean & Friston Parish Council (ie East Dean, Friston, Birling Gap, and Crowlink). The ED&F Parish Council is a statutory consultee which means that any planning application submitted to SDNP will be referred to us for comment. Our views carry weight as we are the ‘voice on the ground’ but although the SDNP are obliged to take account of our views they are not obliged to accept them. 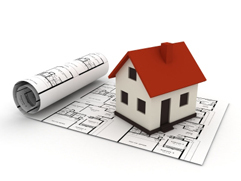 The Parish Council has delegated authority to its Planning Committee and this meets on the third Tuesday of each month to consider planning applications and consider other issues referred to it by the Council. As with all Council and Committee meetings the public are very welcome to attend and comment on items on the meeting agenda in the public session which is held at the start of every meeting. The Committee will consider applications and decide to have no objection, object giving reasons, or submit a conditional no objection suggesting what other factors need to be taken into account. The Terms of Reference of the Planning Committee are in the council’s on-line library. Planning Committee Agendas are posted on the Council's noticeboard in Downlands Way and on this website a few days before the next meeting. Minutes of the Planning Committee (as with Council and other Committees) are held on the Council website for three years. A) Village Design Statement – this is a user-friendly document that describes the existing essential character of our village(s) and provides advice on future development. It was prepared by a working group within the village to help promote local distinctiveness and sense of place in new design proposals in order that any planned development approved by the SDNPA is in harmony with its setting and makes a positive contribution to the local environment. The VDS has been reviewed and accepted by the SDNP and is therefore now a Supplementary Planning Document (SPD) which gives the VDS the weight of a formal planning policy. The VDS is held in the ON-LINE LIBRARY. The SDNP are only allowed to take material planning considerations into account when considering comments. C) Planning Portal – a user friendly website which provides guidance and advice on planning matters. The Portal is the online planning and building regulations resource for England and Wales and includes helpful interacative guides. D) South Downs National Park (Planning section) this contains a number of helpful pages including Do I need Planning Permission, Planning Advice, and Making a Planning Application. Under the Town and Country Planning (General Permitted Development) (England) Order 2015 (as amended), you have a general permission to install antennas [this includes satellite dishes] up to a specific size on property without the need for planning permission. This general permission depends on your house type and area. - an antenna is not installed on a chimney, wall, or a roof slope which faces onto, and is visible from, a road. For nearly all properties this means that it should be possible to install a satellite dish unobtrusively without the need for planning permission. 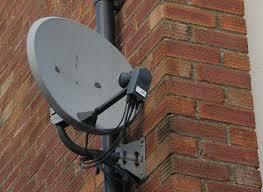 Dish installers should be made aware, when a property is in a conservation area, so that they do not install the dish in an inappropriate position (eg not at the front of the house or above the roof line). B. When the dish is no longer needed, it is removed as soon as reasonably practicable.